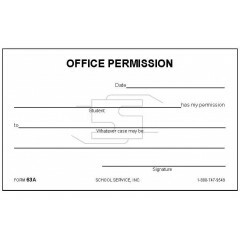 Padded office request. 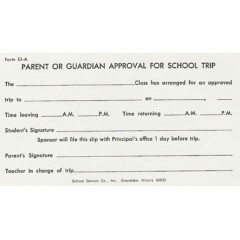 Replaced by 103C. 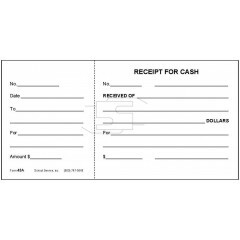 Size: 5 x 3 size Type: Bond paper padded..
Padded receipt for cash. 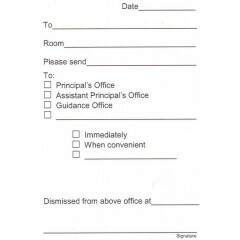 Perforated tear-off stub (tears off left side). 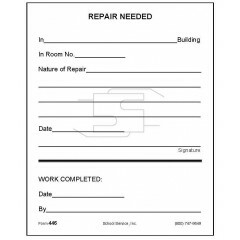 Size: 3-1/2 x 7 size ..
Padded repair needed (large). 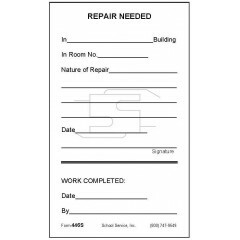 Size: 5 x 4 size Type: Bond paper padded (note pad paper) ..
Padded repair needed (small). 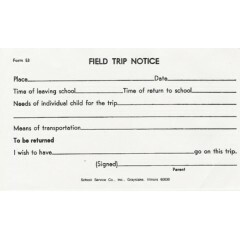 Size: 5 x 3 size Type: Bond paper padded (note pad paper) ..
Padded field trip notice. 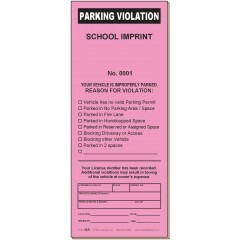 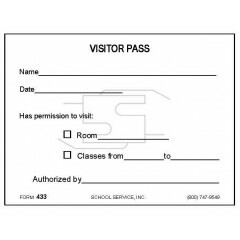 Size: 3 x 5 size Type: Bond paper padded (note pad paper) Stock&n..
2-Part Parking Violation Notice Custom school imprint & numbering: See Imprinting &a..
Padded office permission. 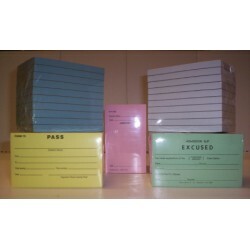 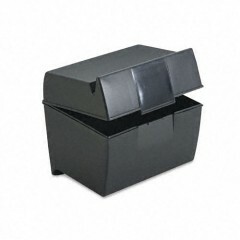 Size: 3 x 5 size Type: Bond paper padded (note pad paper) Stock&n..
Discount Save 50%, Limited time offer, order TODAY! 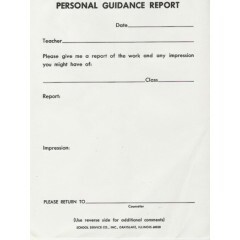 Padded personal guidance report. 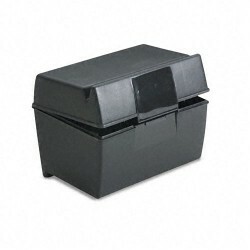 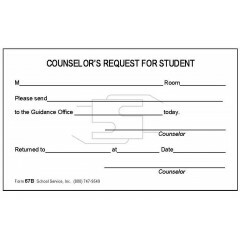 Size:&nbs..
Padded counselor's request for student. 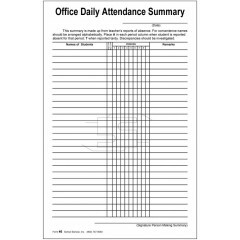 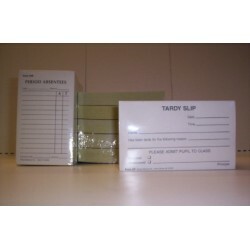 Size: 3 x 5 size Type: Bond paper padded (note pad pap..
Discount Save 50%, Limited time offer, order TODAY! 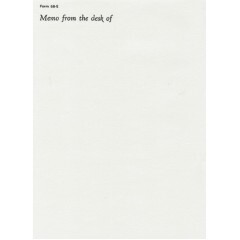 Padded memorandum. 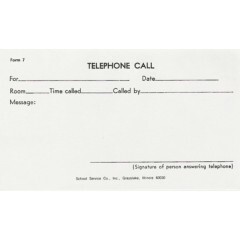 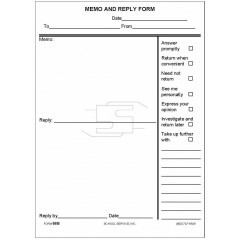 Size: 7 x 5 s..
Padded memo and reply form. 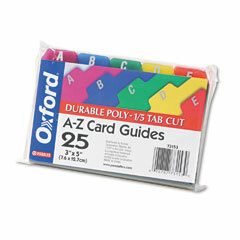 Size: 7 x 5 size Type: Bond paper padded (note pad paper) Stock..
Discount Save 50%, Limited time offer, order TODAY! 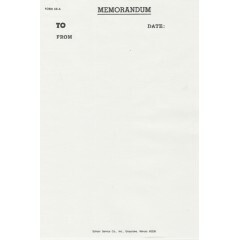 Padded memo from the desk of. 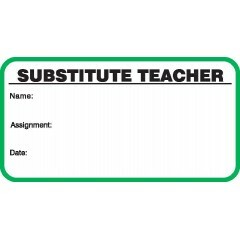 Size: 7..
Stock Substitute Teacher Label Badges. 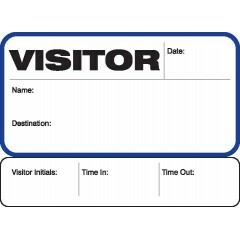 Held in a wire-bound registry book. 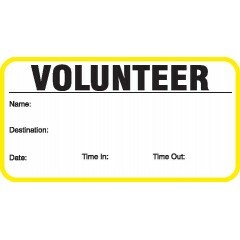 Signing in create..
Stock Volunteer Label Badges. 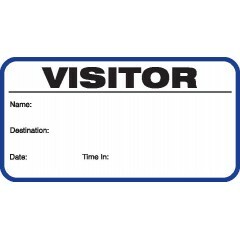 Held in a wire-bound registry book. 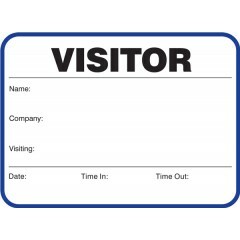 Signing in creates duplica..